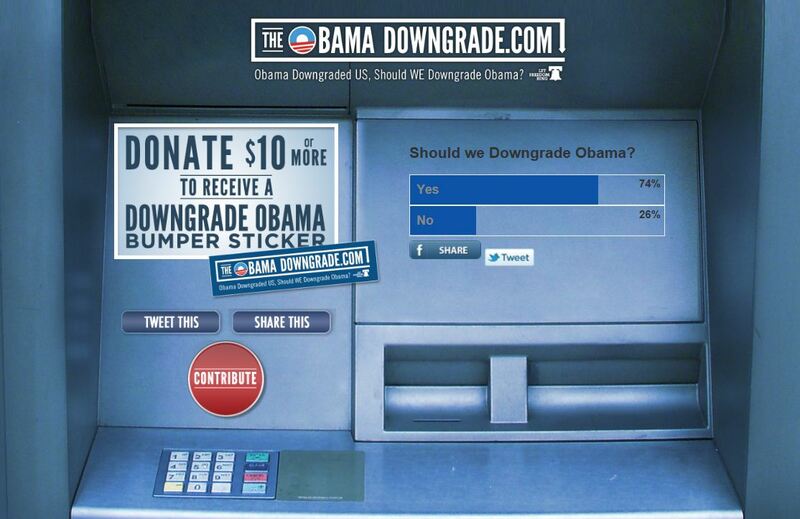 DO YOU WANT TO DOWNGRADE OBAMA? Check in at the Obama Downgrade Web Site where you can vote. For a $10 (or more) contribution, you’ll get an Obama Downgrade. Com bumper sticker.